Size : King h 4″ and Base h 1,10″. 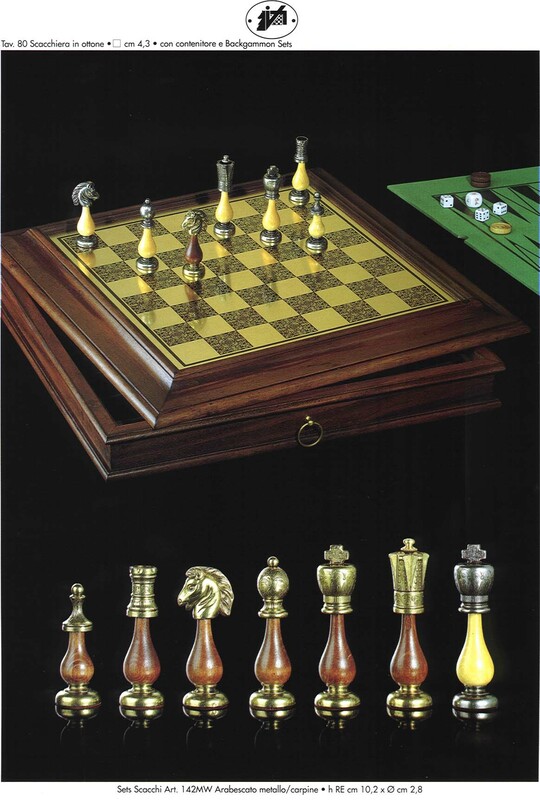 Material: chess pieces made by solid brass worked with the turning technique. 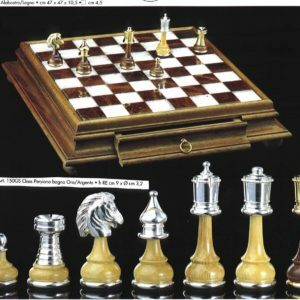 The silver-colored part is nickel plated, the opposite team is left to the natural color of the brass, bot combined with body in natural wood.